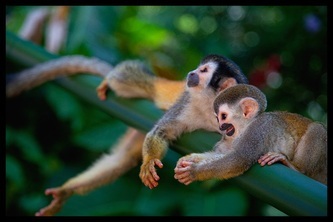 Jungle Creek Villas are conveniently located in beautiful Manuel Antonio, Costa Rica. Nestled in a quiet tropical setting, Jungle Creek Villas are private, secure, comfortable and fully furnished. The country's white sand beaches, shopping and local cuisine are located just minutes from the villas. Jungle Creek is your "home away from home" when visiting Costa Rica. A blend of tropical simplicity and familiar amenities culminate to let you comfortably relax in privacy. Jungle Creek Villas offer a variety of accommodations ranging from our spacious studio (El Gekko), two-bedroom getaways (Mono Vista and Dos Palmas) to our 1800 square-foot 3-bedroom home (Alma Pacifica). Jungle Creek can accommodate any group size from 1 to 20 guests, and our flexible floor plans make our villas an exceptional location for the single traveler, couples, families, extended families, multi or large families, weddings and reunion vacations. Hotel-like amenities such as 24/7 Concierge, but home like feeling. 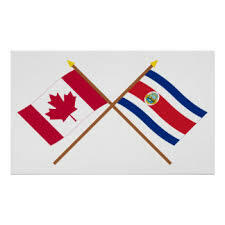 Costa Rica Vacation Rentals at its best. Each villa is completely furnished and Jungle Creek provides maid service, on-site concierge, and maintenance. The on-site concierge can help set up transportation, book tours/activities, give suggestions for restaurants, book spa treatments, and help with anything you may need. Paula and Clark live on the property and are available to make sure you have the best stay possible. Hang out with the monkeys at Jungle Creek! 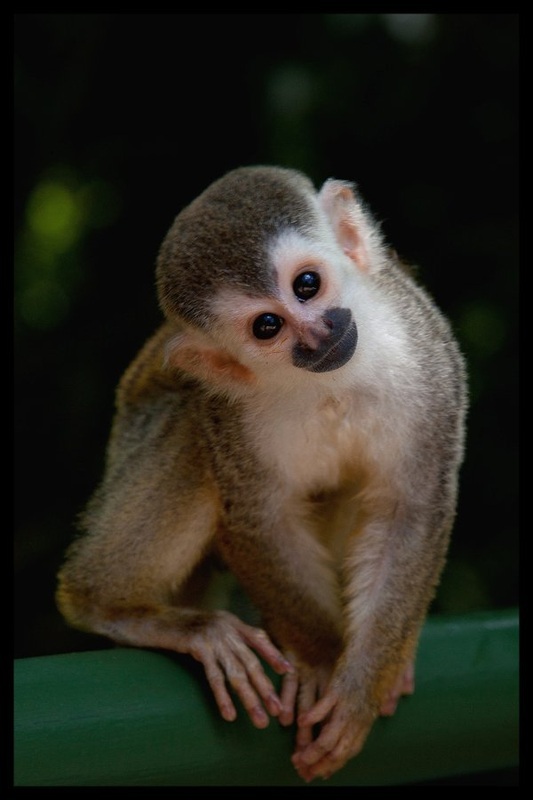 Along with all the other wildlife, the stars of Manuel Antonio and Jungle Creek are the Squirrel Monkeys also known as the Mono Titi Monkeys. One can draw many parallels between Costa Ricans and the majestic Mono Titi. Costa Ricans embrace the small: the country is among the most minute in Latin America and the people even call themselves Ticos- a Spanish derivative for something very, very small. Like Costa Ricans, the Mono Titi live life to the fullest and have no use for disagreement or anything else that gets in the way of a good time. Unfortunately, the fuzzy little creatures are highly endangered: only 1700 remain, despite the influx of eco-tourism. 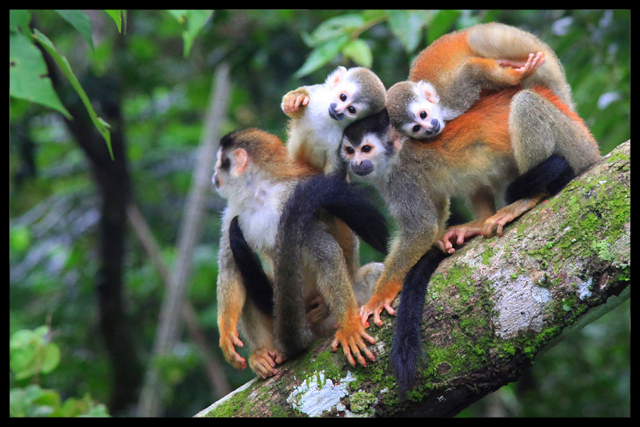 Below are shots of the Titi monkeys on Jungle Creek property. LOOK WHAT WE HAVE RIGHT IN OUR BACK YARD! You can hike to this waterfall just 30 minutes behind our property! Watch this awesome video shot by a group of our guests enjoying themselves! An avid birdwatcher visited Jungle Creek recently. Check out the extensive list of species found just on our property!